80105 at Bo’ness during 25 year celebration event 2004. 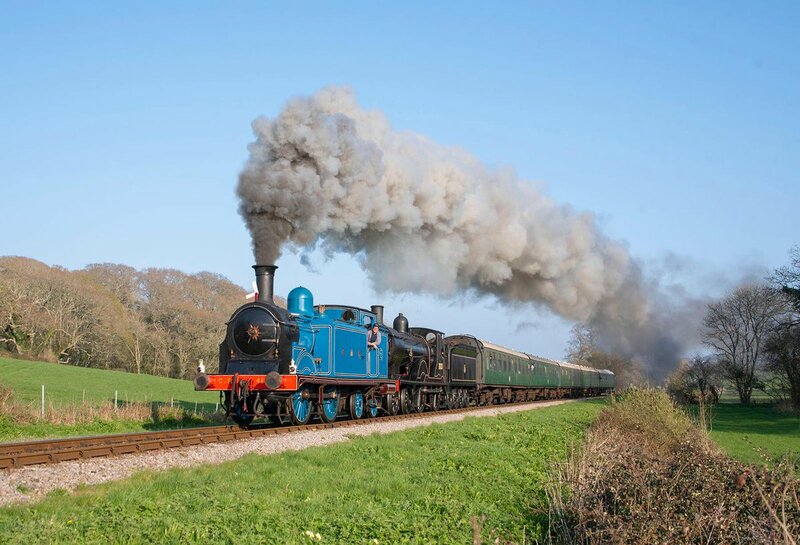 For information about how to support this Locomotives maintenance and preservation click the link to LOGS on the left. 80105 was constructed at Brighton Works in 1955 and completed in April of that year. It was one of a batch to be used on the London, Tilbury and Southend section out of Fenchurch St. It was employed on these duties for some time. A feature of these engines was that they were fitted for the early LMS (Hudd) form of automatic Train Control and this was provided on the rear bogie. They were also speedometer fitted from the start, and the speedometer currently fitted to 80105 is in fact the original. The cost new was £17,651. Originally shedded at Plaistow in east London, the big tank was sent in November 1959 to Tilbury on the closure of the former shed and continued to work the LT&S until the electrification scheme was completed in June 1962. The locomotive was thus 8 years old when withdrawn from its intended duties. It was stored at Old Oak Common from July 1962 and then allocated to the Western Region for use on the Cambrian Coast sections.80105 was then shedded at Machynlleth, Shrewsbury and Croes Newydd, before final withdrawal in 1965. 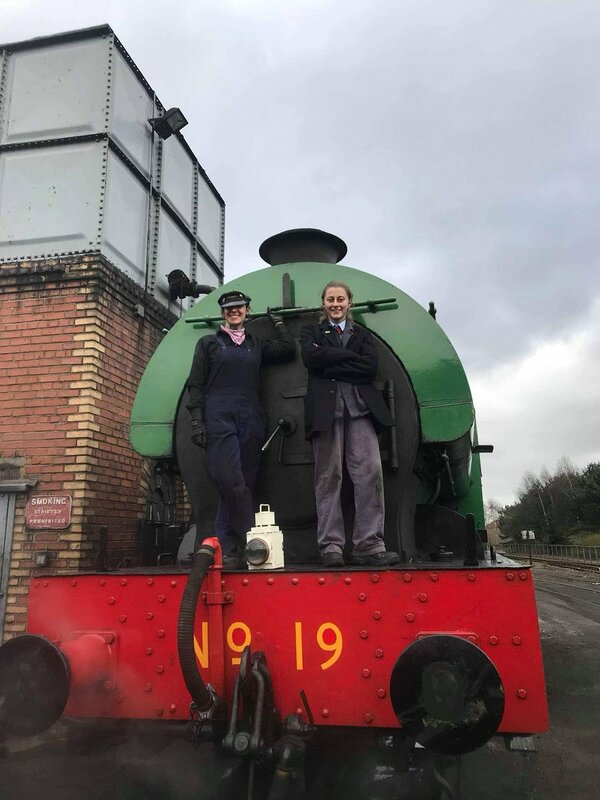 80105 had received an overhauled boiler (No 1300) at overhaul in Crewe works in 1960 and this boiler was in very good order. 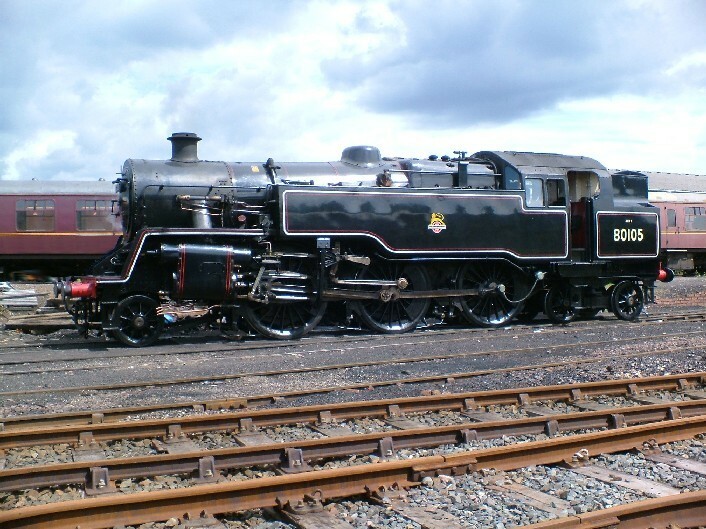 The original boiler was No1334 and this is still in existence on No 80079 at the Severn Valley. Upon withdrawal, No 80105 was sent to Woodham’s scrapyard in Barry, South Wales. Upon arrival, its non-ferrous fittings were removed, but much was also left on the engine. 80105 was inspected by members of the SRPS in autumn 1972 as an example of a class which saw extensive deployment in Scotland, and was chosen as the best surviving example. Most of the motion was fitted, and the connecting rods were safely in the bunker. The inevitable fund raising was carried out but it was not until the formation of a limited company, (Locomotive Owners’ Group (Scotland) Ltd that the necessary capital was forthcoming. In October 1975, 80105 was brought north by road and unloaded at Larbert where it was inspected by BR. It was then passed to travel by rail to the SRPS depot at Falkirk and this trip was accomplished without trouble, but with much castor oil on the axle bearings. Upon arrival at Falkirk, the locomotive was fairly quickly dismantled and the frames taken into the shed. 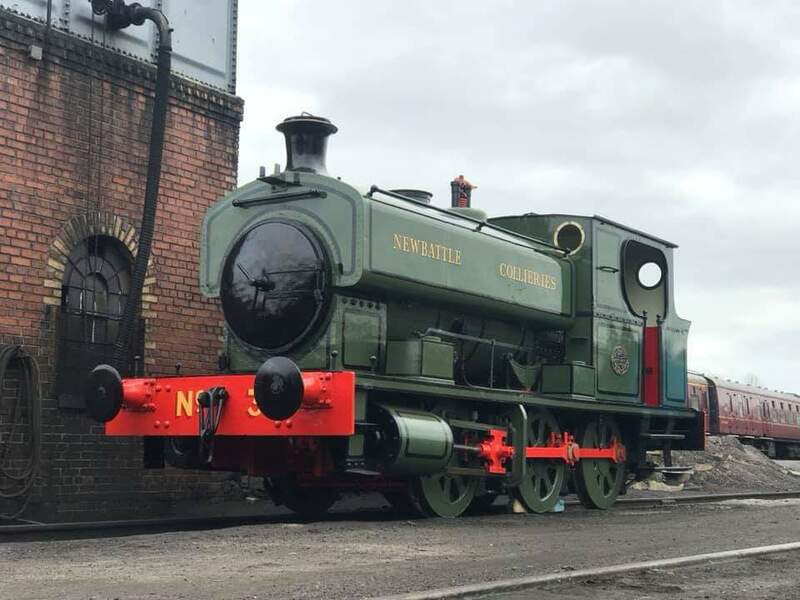 Work then came to a halt upon discovery that the rear frame stretcher, which carries the firebox, was corroded beyond repair, although an attempt was in fact made to do this. Throughout the 1980s, there was little activity and the locomotive was then taken to Bo’ness on closure of the Falkirk depot in 1989. Once the Bo’ness workshop facility was in full operation, 80105 was moved inside and restoration re-commenced in earnest in 1992. The locomotive was re-wheeled in 1995, and the boiler sent to Babcock for repair. Castings and fittings were obtained, and the cab equipment duly removed from the loft of one member’s house, where it had reposed without detection from the domestic authorities for ten years! Rebuilding was completed within 7 years of commencement and 80105 steamed on December 11th, 1999. It works mainly on the Bo’ness branch, but has also visited the Caledonian Railway in Brechin and has become a firm favourite at Aviemore on the Strathspey. It has also travelled to Polmadie Depot in Glasgow to mark the 150th anniversary of the depot in 2000. 80105 has proved to be an excellent locomotive, free-steaming and powerful, and has more than fulfilled the hopes and expectations of her owners. 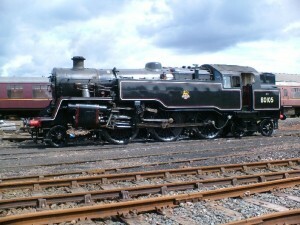 Its current boiler certificate expired In September 2010 when the locomotive was with drawn from service pending a general overhaul. Currently the frame is back on the wheel sets with the motion in the process of being fitted. The boiler is now ready for the fitting of new tubes.